Recently Microsoft announced the release of Kinect for Windows, a commercial development package that will allow buyers to play Kinect-controlled computer games on their desktop. While the technology is currently used to play games, others think the ability to control a Windows desktop with simple hand gestures is soon to come. For business professionals, this means more interactive presentations and project building. Prototypes of Microsoft notebooks with built-in Kinect sensors have been developed with the potential for more interactive PC gaming, “new computer interfaces and ways to control one’s notebook,” according to an article at Wired.com. While previous stigmas on the gaming industry led many to believe technology developed by gamers is silly or inapplicable to the professional world, this development clearly shows that game programmers have the ability to come up with software applicable to all parts of life. The gaming industry is gaining more recognition for its relevance and so are its programmers. According to TechCareers: Computer Gaming Programmers & Artists, the video game industry is estimated to be worth $27.5 billion dollars. It is an industry that is continuously growing – even when the economy is in recession – and cannot be ignored. Career opportunities in the gaming industry can range from designers to artists to programmers. 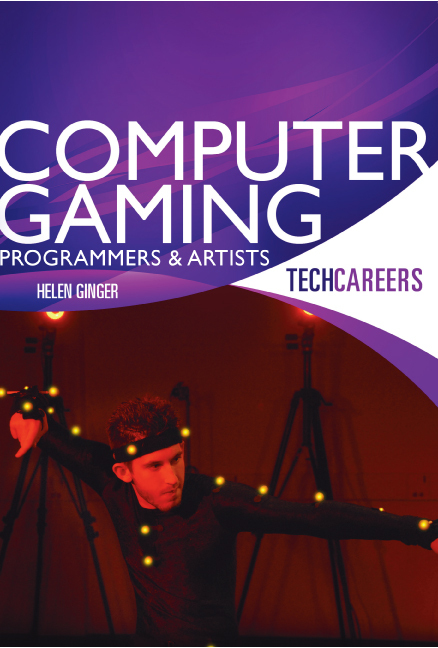 To find out more about the gaming industry and how you can start your career in gaming, pick up a copy of TechCareers: Computer Gaming Programmers & Artists.